turn-down day ...and I dig it." For a few brief and wonderful moments in time, the 60's group...The Cyrkle, led by Don Dannemann...held the transient talisman of rock-n-roll. They were good musicians with good voices playing weekends hard wherever they could....and by twists and turns of that talisman...landed beneath the wings of manager...Brian Epstein. Yeah, that guy! 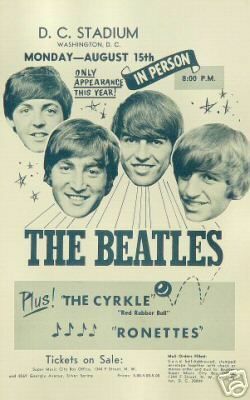 Mr. Lennon himself offered them the band moniker ...The Cyrkle (with a y)...if they cared for it. And if that wasn't enough, they opened every show on The Beatles last American tour. 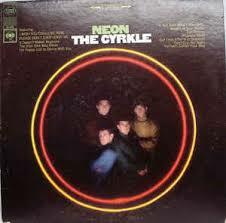 Along the way, the Cyrkle found time to make two albums. Three if you count the excellent lost gem soundtrack for "The Minx." And at least two songs which will forever remain radio-staples. Get you some. 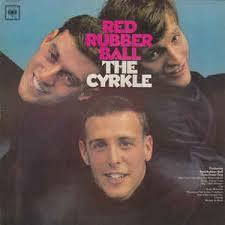 Casey Chambers: It was 1966 and The Cyrkle decide to join the party by releasing their first single..."Red Rubber Ball." A song penned by Paul Simon, but you guys absolutely owned it. How did that song get into your hands, anyway? Don Dannemann: That song was discovered by Tommy Dawes. (guitar, bass, vocals) He was friendly with a guy named Barry Kornfeld, who I think might have had a publishing company with Paul Simon or some kind of relationship. And he heard this guitar-voice demo of Paul doing "Red Rubber Ball" and brought it in for us to kick around because we were looking for stuff to record. To be honest with you, my first feeling was....it's no great shakes. (laughs) But everybody else seemed to think, 'yeah there's something here. Let's try it.' So we did. And the song became a big hit for us. It's really funny, but I never thought much about it at the time. But I will tell you the moment when it really did hit me. There was this little record company that got the license from Columbia. Ya know, one that deals with oldies stuff. Sundazed is what it's called. They were re-releasing The Cyrkle stuff. I'm guessing maybe in the mid-'80s when this occurred. And at that time...it was on cassettes. They sent me what they were putting out and they wanted comments from Tommy and I and our drummer, Marty Fried. Now understand, after the band broke up (late 1967) I got involved in advertising and had a nice career doing commercials and things. I had a production company. So I had really left that part behind. Anyway, I was on a plane and had nothing to do, so I pulled out my Walkman and listened to the cassette. When "Red Rubber Ball" came on...as soon as I heard the first two seconds, it was like...''Wow! There's magic in that. That really was a special hit.' I had just never thought about it like that. Then I listened to the rest of it. "Turn-Down Day" came on and I could hear the magic in that song, too! And as I listened to the chronological order of our songs, you could hear how we got better. We were learning better recording techniques. Our musicianship got better. And the songs were really good. But there wasn't any magic. Not like with "Red Rubber Ball" and "Turn-Down Day." My conclusion is...you can take the best producers, the best musicians, the best writers, and the best artists and bring them all together and you might make a good record. But you can't guarantee the magic. It may or may not happen. 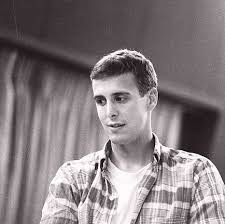 Casey Chambers: After shaking the jukebox with that monster, did Paul Simon try pitching other songs to you guys? So we all listened to it and we're like, 'Wow, that's great.' And for some reason, we chose not to do it at that time. We just sort of let it go. Casey Chambers: Oh man, ain't that the way it goes. And you guys would've killed it. Don Dannemann: But we did end up doing another Paul Simon song...wait...I'm trying to recollect this. (singing) "Lookin' from my window / at the freshly fallen snow / that sparkles as it tumbles / upon the street below / and the crackle of the fire / is laughing in my ear..." "I Wish You Could Be Here" is what it was called. Casey Chambers: Sure, I just heard that one the other day. That's some of the groovy stuff. Very nice. And that was on your 2nd album..."Neon." (1967) I'll add a YT for readers to check it out. Casey Chambers: Earlier, you mentioned the song, "Turn-Down Day." That's a wonderful, strange phrase. It means everything and nothing. And it's perfect. I hear that song and I totally get it. And there's a strange chord or two thrown in that really gives it a nice trippy vibe. Don Dannemann: We were constantly previewing demos in those days. I don't remember the details of how we decided to record it, but one thing I do remember about "Turn-Down Day"...and I really get a kick out of this...it was written by Jerry Keller and a jazz pianist named David Blume. Now Jerry Keller had a 1950s hit called, "Here Comes Summer." And it goes sort of like... (singing) "Here comes summer / school is out oh happy day / here comes summer / gonna grab my girl and run away." But he just had that one hit. And so one might think that he went into obscurity. But he didn't go into obscurity. What he went into was...commercials. Jerry became the premier male soloist for commercials in the 1970s. I was aware of this because I had a commercial production company and we were recording commercials. That was what I did as an adult after the group broke up. And every other commercial was Jerry Keller and he made...a lot, a lot, a lot...of money because he was getting residuals. They paid big bucks in those days. Bigger than what they pay now, I think. So yeah, he had a really successful commercial career. Casey Chambers: You and him both. Very cool. Did you enjoy making the TV rounds on shows like Hollywood Palace and Hullabaloo? Don Dannemann: Oh yeah, it was a thrill. We really liked doing those. We performed "Turn-Down Day" on an episode of The Hollywood Palace. One of the things we used to do really well in our 'in person stuff' was doing Beatles and Beach Boys and Four Seasons. Like, ya know, imitating them. We did a really good job of sounding like them. And when we went on Hollywood Palace they wanted us to put together a medley and we rejected doing that. We just didn't think it would translate very well doing it live on a TV set. And so we all agreed to do our second hit..."Turn-Down Day." We recently did a promo where they begin using footage of "Turn-Down Day" when we were on Hollywood Palace 50 years ago. You see Mike Losekamp playing the piano. You see me. You see Tommy Dawes off on the side. And then they segued into a live concert that we recently did beginning with a close-up of me as I am now. And then...there we are. Pat McLaughlin, who's kind of the go-getter guy of the band now, booked a small theatre, hired a professional video crew and sound guy...and I thought it was really a magic piece of video. It worked really well. And if you go on... thecyrkle.com ...it's there. You can see it. Casey Chambers: How did The Cyrkle get signed? Don Dannemann: Well, before we became The Cyrkle, we were known as The Rhondells at Lafayette College. 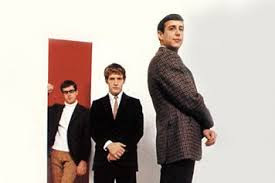 And the last summer when we were basically going to break up and go our separate ways...right at the end of the summer, Nat Weiss, a matrimonial lawyer and friend of Brian Epstein, walked in and heard us and liked us. And he introduced himself and told us he and Brian were going to be partners in a management company in the United States to manage bands. And he told us to get in touch with him and maybe we could get something going. And, basically, that's how we got signed. Casey Chambers: When did you actually meet Brian Epstein? He took me back downstairs, and there was a limo outside. He opens the limo door and there's Brian sitting right there. And he introduced me. I still remember this like it's a video...ya know...this one moment. He says, 'Brian Epstein, I'd like you to meet Don Dannemann. One of the finest musicians I know.' Now I know I'm not one of the finest musicians. (laughs) I'm okay. I know my level of musicianship. But that's how he introduced me. So anyway, I shook his hand and said, 'Well Brian, it's lovely to meet you.' And there were a few little exchanges back and forth. And then Nat kind of motioned for me to get out of the car. And then the limo took off and I stood there on the street with a buddy of mine that I had brought with me. Sort of with my mouth open as the limo went off down the street. And that's how I met Brian. Casey Chambers: Just like that! What an incredible and important moment. That's awesome. Don Dannemann: Oh yeah. 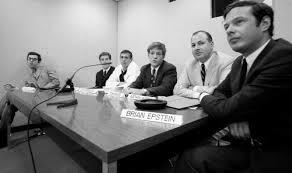 So obviously I called the guys and said, 'Hey, I just met Brian Epstein. Let's try to do something to get him to sign us.' And basically, that was the beginning. Casey Chambers: And you guys wound up doing a few shows with another band Brian Epstein managed. Don Dannemann: Yeah, we played at every venue on the Beatles tour in the summer of 1966. But here's one thing that I really get a kick out of. It's not a story of what happened on the tour. It's a story about what happened before it. Casey Chambers: Okay, lay it on me. Don Dannemann: I was in the Coast Guard Reserve and I was serving my six months of active duty. During that time period, and this was after boot camp, I was based on Staten Island. And I would take the ferry at night when we (The Cyrkle) would be recording. And I was able to get off a lot of weekends when we were actually playing. But The Beatles tour was coming up and I was going to have to miss it because I had this six months of active duty and it wasn't going to end until too late. And they were thinking of replacing me for the tour. But out of the blue, the United States government, realising my dilemma, decided to change the six month active duty requirement to five months. And I got out in time to do the tour. And that was just amazing to me. Casey Chambers: Things like that only happen in the movies, right? Don Dannemann: Oh yeah! Yeah, that was awesome. It was just an amazing little piece of luck. (laughs) They changed six months to five months. Casey Chambers: These have been wonderful stories, Don. Thank you for the good music and for taking the time to speak with me. Much appreciated. Don Dannemann: Lovely to talk to you. Thank you for your interest in The Cyrkle.